The next best thing to gardening is talking about gardening, and I would love to speak to your group! I offer a wide range of presentations for a variety of audiences. Please check my Lectures page for details, and use this Contact form to make further inquiries. You can also visit my listing at the GreatGardenSpeakers.com website, where you’ll find a wealth of details. Here’s my current schedule of upcoming lectures. I hope to see you at one of them! Thank you to the Connecticut Valley Garden Club for hosting this event. Thank you to the Woodbury Public Library for hosting this event. Thank you to the Sherman (CT) Garden Club for hosting this event. Thank you to the Fairfield Garden Club for hosting this event. Thank you to the Caudatowa Garden Club for hosting this event. Thank you to the Wallingford Public Library for hosting this event. Thank you to the Greenwich Green Fingers Garden Club for hosting this event. Thank you to the Down to Earth Garden Club for hosting this event. Thank you to the Bethel Public Library for hosting this event. Thank you to the Garden Club of Nyack for hosting this event. Thank you to the Trumbull Public Library for hosting this event. Thank you to the Garden Club of Larchmont for hosting this event. Now that the weather has warmed and everyone’s come out of their winter hibernation, I’m having a ball giving presentations to gardeners around the region! If you’d like to have me speak to your group about cottage gardening, shade gardening or any other subject, please let me know by clicking on this Contact form. For a list of all the shows I’m currently giving or creating, look here. If you don’t see what you want, just ask—I’m always happy to craft a custom show to accommodate particular interests. Finally, check my Lecture Schedule page for news on upcoming presentations, and thanks to all who invited me to speak in the past! Off-season? There’s no such thing! 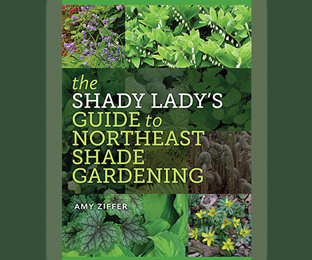 Winter is when I get a chance to do one of my favorite things: meet other gardeners and share with them what I’ve learned through the years gardening for myself and my clients. If you’d like to have me speak to your group about cottage gardening, shade gardening or any other subject, please let me know by clicking on this Contact form. For a list of all the shows I’m currently giving or creating, look here. If you don’t see what you want, just ask—I’m always happy to craft a custom show to accommodate particular interests. Finally, check my Lecture Schedule page for news on upcoming presentations, and thanks to all who invited me to speak in the past!